Trident Technical College is holding a “Learn about LIFE” info session April 9 at 6 p.m. at Thornley Campus (formerly Main Campus, 7000 Rivers Ave., North Charleston, Bldg. 970/Rm. 108). Many high school students and parents are unaware that there are fewer eligibility requirements to use the S.C. LIFE Scholarship at a two-year college than at a four-year college. This info session will provide additional information about eligibility, how to combine LIFE with other forms of financial aid, and requirements for keeping the scholarship. For a complete list of suggested documents to bring, visit click here or call 843.574.6346. Approximately 1,400 students from 42 public schools throughout Berkeley, Charleston and Dorchester counties battled for top honors at the 33rd Annual Quest Academic Competition held Saturday at Trident Technical College Thornley Campus in North Charleston. Students participated in four levels of competition: Level I-grade 6, Level II-grades 7-8, Level III-grades 9-10 and Level IV-grades 11-12. Students competed and earned points in team competitions in math, science and social studies, and in individual competitions including composition, public speaking and visual arts. Special competitions were held in automotive, computer aided design, computer programming, culinary, engineering design and construction, horticulture, Spanish, video/film and welding. Schools whose students earned the most total points won overall awards at each level. Overall awards were given to 15 schools. At Level I (grade 6), Camp Road Middle School won first place, Thomas C. Cario Middle School placed second and DuBose Middle School finished in third place. At Level II (grades 7-8), Moutlrie Middle School took top honors, while Rollings Middle School of the Arts placed second and Palmetto Scholars Academy finished third. At Level III (grades 9-10), Academic Magnet High School claimed first place with Hanahan High School in second. There was a four-way tie for third place between Fort Dorchester, James Island Charter, Philip Simmons and Wando high schools. At Level IV (grades 11-12) Ashley Ridge High School won first place with Wando and Stratford high schools finishing in second and third places, respectively. The Quest competition was developed by TTC to promote academic excellence, provide an academic challenge to students, and recognize top students, teachers and schools. Scholarship funding is still available for several Trident Technical College Division of Continuing Education and Economic Development courses through the Workforce Pathways Scholarship (WPS) program that was approved by the South Carolina General Assembly in 2018. Eligibility for a scholarship is not based on financial need or prior academic performance and scholarships are awarded on a first-come, first-served basis. Courses in 11 Continuing Education Division programs qualify for the WPS funding which covers 100 percent of the tuition fees for those courses (books are not covered by the scholarships). To apply, students must attend an orientation session to learn about the WPS program and obtain an application form. Orientations are scheduled at 10:30 a.m. Tuesday, March 5 and 6:30 p.m. Thursday, March 7 in Building 920, Room 507 at Trident Technical College Thornley Campus (formerly Main Campus), 7000 Rivers Ave., North Charleston. For more information on WPS funds for TTC continuing education courses, visit www.tridenttech.edu/ce/funding/pathways-scholarship.htm or call 843.574.6152. The demand for workers in high-tech lean manufacturing is expected to continue to surge in the Lowcountry in the coming years and Trident Technical College's Division of Continuing Education and Economic Development is gearing up to train the employees that can fill those jobs. The college has modified its Lean Manufacturing program, originally developed in conjunction with local manufacturers to provide workers with the equivalent of one year of manufacturing experience, to conform to the state of South Carolina's ManuFirstSC Grant program. The ManuFirstSC Grant program completely covers the cost of tuition, background checks and drug screening for a total of 84 participants for Trident Tech’s ManuFirstSC (Lean Manufacturing) continuing education classes running from January to May 2019. Grants are awarded on a first-come, first-served basis. Trident Tech Continuing Education is hosting a series of free information sessions about the ManuFirstSC Grant program in December 2018. Click here for dates. In collaboration with National Apprenticeship Week, Trident Technical College will co-host the Cybersecurity Apprenticeship Employer Summit with Ishpi Information Technologies Nov. 14, at 7:30 a.m. at the Crowne Plaza located at 4831 Tanger Outlet Blvd., North Charleston. The purpose of the summit is to educate local employers on the value of apprenticeships to address the cybersecurity skills shortage. The event will feature expert speakers from the Department of Homeland Security, National Institute of Standards, Carnegie Mellon University and Trident Technical College, and will include a breakfast at no charge to the attendees. “We are excited about collaborating with ISPHI to grow and strengthen the cybersecurity workforce in the Lowcountry,” said Dr. Laurie Boeding, dean of Business Technology at TTC. TTC has long recognized the need for additional cybersecurity technicians to support the current and future workforce demands. As such, TTC has many ongoing cybersecurity initiatives including its current “Supporting Education in Cybersecurity for Undergraduates through Resources and Engagement” (CyberSECURE) program. Together with industry partners, the program’s main objectives are to develop and expand apprenticeship opportunities, develop a cybersecurity operations center and cyber range for advanced cyber defense and security technician education, and conduct STEM and cybersecurity outreach activities. Additionally, TTC’s Division of Apprenticeship Programs partners with area employers to grow talent by developing US Department of Labor Apprenticeship programs and connecting employers with apprentices. “ISHPI is honored to co-host this event alongside Trident Technical College,” said Girish Seshagiri, ISHPI’s executive vice president and chief technology officer. Seshagiri is an early adopter of the Dual “Learn and Earn” Vocational Training Model for skills formation and a staunch advocate of regional workforce development. He provides the founding organizational leadership of ISHPI’s Community Initiative Center of Excellence for Secure Software (CICESS) program. The employer-led CICESS initiative combines academic theory/technical instruction at a local community college and work experience at participating employers to train a globally competitive workforce in developing software that is secure from cyber-attacks. CICESS meets industry needs for secure software development competencies and requirements utilizing standardized curriculum to create highly-skilled, capable and readily employable graduates. Local employers interested in learning how to partner with TTC and ISHPI to start apprenticeships to grow Charleston’s future cybersecurity workforce are invited to attend the summit. For more information, contact TTC Dean of Apprenticeships Mitchell Harp at mitchell.harp@tridenttech.edu. WORKFORCE PATHWAYS SCHOLARSHIP FOR CONTINUING EDUCATION COURSES UPDATE: Due to the uncertainty concerning Hurricane Florence, the orientation session scheduled for Thursday, Sept. 13 has been canceled. The application period and orientation sessions for this scholarship will not begin until Tuesday, Sept. 18. This is subject to additional changes as new information becomes available regarding the hurricane. Click here for scholarship updates. Trident Technical College is closed Tuesday, Sept. 11-Friday, Sept 14 due to the mandatory evacuation order regarding Hurricane Florence. For the latest updates on campus closures, click here. Trident Technical College's Division of Continuing Education and Economic Development is offering a new session of Workforce Pathways Scholarship (WPS) funds that pay for course fees for approved career training continuing education programs. This is a new, separate opportunity from the WPS funds that are also available currently to pay for academic courses at Trident Technical College this year. Eligibility for a scholarship is not based on financial need or prior academic performance, and the scholarships are awarded on a first-come, first-served basis. Interested students can apply for scholarships Sept. 13-27, 2018. WPS funds are available for use only on qualified TTC continuing education courses within approved programs. Following three hugely successful prior installments of the Pathways Initiative, the South Carolina General Assembly has renewed and expanded the program for a fourth term providing additional funding for Workforce Pathways Scholarships to the S.C. Technical College System. A total of $500,000 is available to TTC’s continuing education students, an increase over the previous year. Click here for more information. Trident Technical College’s Main Campus in North Charleston became the Thornley Campus Tuesday afternoon after the college’s Area Commission voted to rename the campus to honor Dr. Mary Thornley, the college’s longtime president. The idea to honor Thornley by renaming the campus came from Trident Technical College Foundation board members Bobby Collins and Chris Fraser. Collins made the formal request to the Area Commission Tuesday on behalf of the TTC Foundation board. Thornley has worked at the college for 45 years. She was hired as an adjunct instructor in 1973 and became a full-time instructor the next year. Over time she moved up the ranks and held positions including department head, dean, and vice president for academic affairs. She was named president in 1991. In conjunction with the campus name change, the TTC Foundation has established the Thornley Leadership Fund and is working toward a $1 million fundraising goal. “The Thornley Leadership Fund recognizes the outstanding accomplishments of Dr. Thornley and will serve as a ‘greatest needs’ fund, providing additional support for Dr. Thornley to ensure that all opportunities to advance the college and to assist students can be considered,” said Lisa Piccolo, TTC Foundation executive director and vice president for development. Trident Tech has three other campuses in the region: Palmer Campus in downtown Charleston, Berkeley Campus in Moncks Corner, and Mount Pleasant Campus in Mount Pleasant. The college also provides services at two sites, one in Hollywood and the other in St. George. A new state-funded scholarship program is offering recent Berkeley County high school graduates and GED recipients up to $2,000 to attend a South Carolina technical college. The S.C. Promise Scholarship is being offered to students from 34 of the state’s poorest school districts as identified in the Abbeville County School District vs. South Carolina lawsuit. Students can use the $2,000 to pay for tuition and fees for the 2018-19 academic year, with up to $300 of the amount going toward the cost of books. To receive funding, students must be enrolled in at least six credit hours at Trident Tech or one of the state’s other 15 technical colleges. Students must also participate in a mentoring program at the college while enrolled. Students interested in the scholarship must complete the Free Application for Federal Student Aid (FAFSA) and the S.C. Promise Scholarship application. The scholarship is applied after other forms of financial aid, such as the Pell Grant and S.C. Lottery Tuition Assistance, are credited. Refunds will not be issued. The scholarship is not need-based, and eligibility is not based on current residence. Scholarship funds are limited. Trident Tech officials urge those who are interested in receiving a scholarship to apply immediately. For more information about the scholarship, visit Trident Tech’s website or call 843. 574.6000. Trident Technical College students and faculty members were recognized for their outstanding achievement and involvement in student organizations at TTC’s Awards Day ceremony held at the college’s Main Campus on May 3. The President’s Award/Kurtzman Prize, the highest honor which includes a monetary gift given to a graduating student on the basis of academic achievement, contributions to the college and community service, was awarded this year to Christian Isaman, a Culinary Arts Technology graduate from Charleston. Regional executive Tal Lakey and Charleston branch manager Jim Goddard were on hand to present the S.C. State Credit Union Award to Associate of Arts student Heidi Rader of Goose Creek. This award, which also includes a monetary gift, is presented to a returning student who demonstrates a commitment to service, exhibits perseverance toward completing higher educational goals, displays commendable personal attributes, and serves as an exemplary role model to other students. The Klein Tools Award, which honors the outstanding electrician graduate from the Electrical and Automated Technologies program with a set of tools valued at more than $1,000, was presented by Klein Tools Inc. District Manager David Inman to TTC student Christopher Andrews of Mount Pleasant. The Dr. Frankie Miller Leadership Award, in honor of the former dean of the Culinary Institute of Charleston (CIC), Frankie Miller, was awarded to Caitlin Elizabeth Simpson of Mount Pleasant. Simpson was recognized with a $500 scholarship check from the Charleston Area Convention and Visitors Bureau and an award from CIC. The Merit Award winners were also recognized by TTC President Dr. Mary Thornley for their academic and personal excellence, identifying each recipient as the top student in his or her program of study. The Merit Award winners are: Accounting -Becky Lanier, Administrative Office Technology-Rebecca Prevatt, Associate in Arts-Mikaela Franco, Associate in Arts-Trisha Nenni, Associate in Science-Rory Thomas, Associate in Science/Nursing Preparation-Susannah Trammell, Commercial Graphics/Animation-Rebecca Ball, Commercial Graphics/Graphic Design-Krista Parker, Commercial Graphics/Photography-Sherry Graves, Computer Technology/Information Systems Specialist-Bruce Gonzalez, Criminal Justice-Loretta Robinson, Culinary Arts Technology-Christian Isaman, Culinary Arts Technology /Baking and Pastry-Muireann Starnes, Culinary Arts Technology/Sports and Health Nutrition-Leah Tone, Early Care and Education/ Child Care Management-Margo Black, Early Care and Education/ Child Care Professional-Melly Gebretatios, Early Care and Education/School Age and Youth Development-Samantha Ray, Hospitality and Tourism-Kendall Shafer, Human Services Generalist-Brittany Reed, Management/Supply-Chain Management-Sonya Pryor, Media Arts Production/Film Production-Christopher Gros, Media Arts Production/Post Production-Gabriel Leonguerrero, Media Arts Production/Television and Media Arts-Fernanda Abdelnur, Medical Assisting-Paris Smith, Medical Lab Technology-Mary Atchison, Network Systems Management-Jerome Zerba, Nursing-Alexandrina Evstafyeva, Paralegal-Jessica Cox, Radiologic Technology-Kristin Ross, and Respiratory Care-Cassandra Pflueger. There are approximately 40 student organizations at TTC in which students have the opportunities to network with other students who have similar interests, gain additional practice in their fields of study, interact with future colleagues, and offer time and energy to community service. Three organizations were recognized with Outstanding Student Organization awards. Winning the top honor was the Student American Dental Hygienists’ Association, followed by Clemente Coalition as first runner-up and Early Childhood Development Club as second runner-up. Awards of Distinction, given to student organizations that have won the Outstanding Student Organization award for more than three years, were presented to Society of Broadcasters and Phi Theta Kappa. Outstanding Advisors and Outstanding Members of Student Organizations were also recognized. Society of Broadcasters advisor Randy Grimes won the top honor for Outstanding Student Organization Advisor. First runner-up was given to Mozell Rollerson, advisor for Phi Theta Kappa, and second runner-up was given to Kristin Zeaser-Sydow, advisor for the Early Childhood Development Club, and Dr. Mary Ann Kohli, advisor for the Clemente Coalition. Trident Technical College’s Clemente Course has been named one of three sites to receive funding to offer a free humanities course for veterans. The award was announced last week as the National Endowment for the Humanities (NEH) named the Clemente Course in the Humanities among its 2018 grant recipients, awarding $96,000 to expand its work in the NEH Dialogues on the Experience of War Initiative. Projects funded through NEH Dialogues on the Experience of War grants will support humanities-based programs for military veterans and their families. This is the second consecutive NEH grant Clemente has received to support the Clemente Veterans Initiative (CVI), which was developed in 2014. CVI is based on the idea that guided discussion of humanities texts and images can provide veterans with an opportunity to reflect on their military experiences and support their transition to post-military life. To learn about enrolling, contact Dr. Kohli at 843-720-5713. Trident Technical College named five employees as the 2017-18 SKIP winners at a recent college leadership meeting. The nominations exemplify innovation that significantly enhances the student experience, improves an administrative process or truly puts TTC on the cutting edge. Awards were given in each of two categories, non-instructional and instructional. Dawn Higdon and Teresa Coke won in the non-instructional category for the TTC scholarship essay module project. The scholarship module involved developing and building a scholarship essay module in the college’s portal that provides functionality based on the role of the user: student, evaluator or scholarship administrator. In the instructional category, Anderson Jackson, Carter “Lee” Burns and Laurie Boeding won for the IST 290 problem solving internship project. This project involved developing a new curriculum using IST 290 (Special Topics in Information Science). Students in the course did not just intern, but investigated a real-world information technology problem, dissected it, worked with customers, and then provided a practical solution to the problem. SKIP is an acronym for Strategy + Knowledge = Innovation Prize. The TTC Foundation awarded each winning team, which was selected by a committee of innovative leaders in the community, a hand-sculpted trophy and $1,000. Trident Technical College has been awarded a grant of $20,000 from the Bosch Community Fund to update the college’s Automotive Technology program with modern equipment, tools and software, all of which will provide hands-on opportunities for an engaging learning experience for students. Approximately 70 students each year will have access to improved technology through enrollment in the classes impacted by the upgrades. The Bosch Community Fund, a U.S.-based foundation established in September 2011, has awarded nearly $19 million in grants to various 501(c)(3) organizations and educational institutions. The BCF focuses primarily on the enrichment of science, technology, engineering and math (STEM) education and the advancement of environmental sustainability initiatives. The Volvo Car USA Operations Grants program awarded Trident Technical College Foundation a grant of $20,000 through the Coastal Community Foundation to support the Charleston Regional Youth Apprenticeship program. Grant funds will be spent on direct student support, providing tuition, books and materials for at least 12 new students enrolling in advanced manufacturing programs in Fall 2018. Students accepted into the program will work for local companies such as Cummins Turbo Technologies, Robert Bosch, VTL Group, Boeing and Venture Aerobearings, among others. Advanced manufacturing careers are on the rise in South Carolina and can provide family-sustaining wages. Machinist positions are expected to grow 13.7 percent between 2017 and 2020 in the Charleston region, with median hourly earnings of $20.21. Industrial mechanics positions are expected to grow 11.2 percent, with median hourly earnings of $25.37. For more information about the Charleston Regional Youth Apprenticeship program, click here. Electrical construction apprentices displayed their skills in installing electrical components and circuitry at the 2018 Charleston Electrical Contractors Association Electrical Competition held March 24 at Trident Technical College’s Main Campus. The competition allowed high school, Trident Technical College, and first-, second-, third- and fourth-year electrical construction apprentices to compete with the skills they have gained through practical experience and classroom instruction. High school participants are part of a youth apprenticeship program and can become part of an adult apprenticeship program via TTC or CECA. Those who do not attend college will go on to work directly for electrical contractors after graduation. First-place competition winners in each category were: Alex Garrard, Dorchester County Career Technology Center; Elias Bautista, Trident Technical College; Peter Capers Jr., first-year apprentice with Reserve Electric; Kyle Lewis, second-year apprentice with Gatch Electrical; Adam Gravelin, third-year apprentice with Metro Electrical; and Dalton Vealey, fourth-year apprentice with Gatch Electrical. Klein Tools provided prizes for all first-, second- and third-place winners. Employers from the tri-county area were also on-hand at a career fair to discuss career opportunities for electricians. A registered apprenticeship program is a paid, in-house training program that combines classroom instruction and on-the-job training. Working in accordance with standards set by the company and approved by the U.S. Department of Labor, an apprentice earns a nationally recognized certification as a journeyman upon completion of the program. More than 1,000 occupations qualify for apprenticeship training. Students from 41 public schools throughout the tri-county area battled for top honors at the 32nd Annual Quest Academic Competition held Saturday, March 3, at Trident Technical College. Students participated in four levels of competition: Level I-grade 6, Level II-grades 7-8, Level III-grades 9-10 and Level IV-grades 11-12. Students competed and earned points in team competitions in math, science and social studies, and in individual competitions including composition, public speaking and visual arts. Schools whose students earned the most total points won overall awards at each level. Special competitions that did not contribute points toward the overall awards were held in automotive, computer aided design, computer programming, culinary, engineering design and construction, French, horticulture, Spanish, video/film and welding. Overall awards were given to 12 schools. At Level I (grade 6) Camp Road Middle School won first place, Moultrie Middle School placed second and Buist Academy for Advanced Studies finished in third place. At Level II (grades 7-8) Rollings Middle School of the Arts took top honors, while Thomas C. Cario Middle School and Westview Middle School tied for second place. At Level III (grades 9-10) Ashley Ridge High School won first place, Academic Magnet High School placed second and Hanahan High School placed third. At Level IV (grades 11-12) Ashley Ridge High School and Academic Magnet High School repeated with first and second place, respectively, while Wando High School finished third. Approximately 1,100 students participated in this year’s Quest. The competition was developed by TTC to promote academic excellence, provide an academic challenge to students, and recognize top students, teachers and schools. Click here for more information about Quest. A new national engineering youth apprenticeship program was announced Wednesday at Trident Technical College in North Charleston. U.S. Department of Labor (USDOL) Office of Apprenticeships Deputy Administrator Daniel Villao joined Dr. Vince Bertram, president and CEO of Project Lead The Way (PLTW), and Dr. Mary Thornley, president of Trident Technical College, to announce the pilot engineering youth apprenticeship program in conjunction with National Apprenticeship Week. The Engineering Youth Apprenticeship Program will help connect high school students to high-demand engineering careers and connect employers with PLTW students who have the knowledge and skills to fill their labor needs. The U.S. Department of Commerce projects that employment in science, technology, engineering and math (STEM) occupations will grow 8.9 percent from 2014 to 2024, more than 2 percent faster than job growth in other sectors. According to Emsi data provided by the Charleston Regional Development Alliance, occupations in engineering are projected to grow 14 percent by 2020 in the Charleston Metro area. STEM employers report a growing skills gap as they seek to fill open positions. In April 2017, the USDOL Office of Apprenticeships launched a partnership with PLTW to solve this problem. PLTW is a national educational nonprofit that designs classroom instruction in science, technology, engineering and math (STEM) for delivery to millions of students and teachers across the country. The USDOL and PLTW selected TTC as the post-secondary partner and employer liaison to pilot this national initiative. Trident Technical College was instrumental in establishing the Charleston Regional Youth Apprenticeship program, a regional collaborative launched in 2014, which includes four school districts that deliver PLTW engineering curriculum, and the Charleston Metro Chamber of Commerce. Based on the current model, the new initiative is scheduled to start in fall 2018. “The pilot engineering youth apprenticeship program will offer high school students the opportunity to work as apprentices for participating employers, combining their Project Lead The Way engineering classroom instruction with college curriculum and mentored on-the-job training. This is a win/win opportunity for both students and employers,” said Thornley. Participating employers in this national pilot will include Boeing, Robert Bosch, Charleston County, Mobile Communications, and Thomas and Hutton, which have committed to hiring and mentoring high school-aged apprentices as engineering assistants. Students from Berkeley County, Charleston County, Dorchester 2 and Dorchester 4 school districts interested in the program should contact their school’s PLTW teacher or guidance counselor. Trident Technical College’s Palmer Campus will honor the Pillars of Palmer for Eastside Day 2017 to be held Friday, Nov. 3, at the downtown Charleston campus. The red-carpet event will consist of video presentations and portrait unveilings created by TTC students on the inaugural class of honorees. Pillars of Palmer are individuals or groups who have played an instrumental role in the partnership between TTC’s Palmer Campus and the Eastside Community. This year’s honorees are Mary Edwards, Gerald Mackey, Dr. Susan Williams and the Eastside Community Development Corporation, represented by the four past presidents. The program will begin at 10 a.m. in the amphitheater, immediately followed by a Gallery Opening in the campus library. Eastside Day is a part of the Palmer Campus’s Spirit Week held annually to celebrate the students of TTC and the heritage of the Eastside Community where the college’s downtown Charleston campus is located. Spirit Week 2017 is slated for Oct. 30-Nov. 3. In collaboration with TTC’s Cosmetology, Health Sciences and Film, Media and Visual Arts departments, as well as the Culinary Institute of Charleston, the Palmer Campus has planned a week of student-driven activities that the community and TTC students, faculty and staff are invited to attend. All events are free. Kicking off the week will be a Student Welcome Monday, Oct. 30, in the campus courtyard and park. Spirit Week will continue with a Safety Awareness Fair Tuesday, Oct. 31, College Transfer Fair Wednesday, Nov. 1, and Health Expo for TTC students Thursday, Nov. 2. The week will conclude with Eastside Day and the Pillars of Palmer event on Friday. For times and locations of Spirit Week 2017 activities, click here. Trident Technical College has been named the 2017 Charles Kennedy Equity Award winner by the Association of Community College Trustees. College officials received the award during the association’s 48th Annual Leadership Congress held in Las Vegas Sept. 25-28. The college won both state and regional equity awards before receiving the national award. Founded in 1972, the Association of Community College Trustees is a nonprofit educational organization of governing boards, representing more than 6,500 elected and appointed trustees of community, technical and junior colleges in the United States and beyond. ACCT’s purpose is to strengthen the capacity of community, technical and junior colleges and to foster the realization of their missions through effective board leadership at local, state and national levels. The Charles Kennedy Equity Award recognizes exemplary commitment by an ACCT member college to achieve equity in educational programs and services and in the administration and delivery of those programs and services. The award honors the late Charles Kennedy, a trustee of Joliet Junior College in Illinois, who was a founder of the ACCT Minority Affairs Assembly, which became the ACCT Diversity Committee. Trident Technical College is governed by a nine-member area commission comprised of three members each from Berkeley, Charleston and Dorchester counties. With the support of the college’s area commission, Trident Tech President Mary Thornley has made equity in enrollment, program completion, campus environment and employment and promotion a priority during her 26-year tenure. Evidence of this success can be found in the diversity of the college’s student population and in the diversity of its faculty and staff. Minorities made up 41 percent of the college’s total enrollment in fall 2016. The college ranks No. 1 among all state institutions of higher education in Equal Employment Opportunity goal attainment, and it has exceeded the S.C. Commission on Higher Education performance funding benchmark for minority faculty for 13 years in a row. “The economic vitality of our region is due in large part to the efforts made by Dr. Thornley and her staff to remove barriers to higher education and to support student success, especially for those students who must overcome obstacles to achieve their academic and personal goals,” said TTC Area Commission Chair Rudd Smith. Trident Technical College’s Division of Continuing Education and Economic Development is offering a new installment of the Workforce Pathways Scholarship that pays for course fees for approved career training continuing education programs. Due to the success of the two previous statewide initiatives, the S.C. General Assembly made new funds available to the S.C. Technical College System to renew the Workforce Pathways Scholarship program for another term. With $180,000 in funds available for Trident Tech continuing education students, the program has the potential to benefit many local residents who need workforce training to get a job or advance on the job. The new installment of the Workforce Pathways Scholarship is open for applications one week only, from Thursday, Sept. 21, 2017 through Wednesday, Sept. 27, 2017. Scholarship funds are available for use only on qualified TTC continuing education courses within approved programs. Scholarship recipients are eligible to take an entire program or classes within a program; they are not able to move between programs. Scholarship eligibility is not based on financial need or previous academic performance. To be eligible, applicants must reside in South Carolina, and have a GED or high school diploma or provide college transcripts. Applicants must also provide a negative drug screen and clear background checks for certain programs; students will be notified if these are requirements of the program they are interested in. The scholarship covers the cost of course fees for qualified TTC continuing education courses in the areas of health care, manufacturing, information technology and professional development. A complete list of eligible courses can be found under Funding Opportunities on TTC’s Continuing Education website at www.tridenttech.edu/ce. Training available through the scholarship program prepares students for careers as certified professional coders, phlebotomists, web designers, cell phone repair technicians and careers in manufacturing. To apply, visit www.tridenttech.edu/ce, click on Funding Opportunities and review the basic requirements of the Workforce Pathways Scholarship. Trident Technical College and Charleston Metro Chamber of Commerce celebrated career education with hundreds of business leaders, educators and students at the Charleston Regional Youth Apprenticeship Program Signing Day breakfast today at the College Center on TTC’s Main Campus. Highlighting the breakfast was keynote speaker Amy Firestone, program analyst of the U.S. Department of Labor Office of Apprenticeship. The program spotlighted the partnership among TTC, Charleston Metro Chamber of Commerce, the region’s public school districts and regional business partners with the signing of the 2017-18 class of apprentices. Following the program, youth apprentices officially signed with their employers representing automotive, civil computer aided design, CNA/pre-nursing, culinary arts, emergency medical technicians, hotel operations, HVAC, industrial mechanics, computer networking, computer programming, machine tool technology, medical office assistant and pre-law enforcement. Through the Youth Apprenticeship Program, TTC connects qualified high school students with participating employers. The employers interview and hire the students, who then begin employment while taking high school and college courses. At the completion of the apprenticeships, students will have earned a high school diploma, a TTC certificate, a journeyman credential from the U.S. Department of Labor and two years of work experience. All costs associated with the program including tuition and books are paid by the Charleston Metro Chamber of Commerce. Currently, there are over 120 business partners who have or are interested in hiring youth apprentices for the 2017‐18 academic school year. Registration for fall semester classes at Trident Technical College opens Monday, June 12, and college officials are encouraging potential students to take action now. The first step is to submit an admission application, said Dr. Patrice Mitchell, vice president for student services at Trident Tech. “You must apply and be accepted to the college before you can register for classes,” she explained. Mitchell said the most convenient way to submit an application is online at http://www.tridenttech.edu/. Applicants must provide proof of high school graduation or GED, proof of lawful presence in the U.S., and qualifying ACT or SAT scores. If applicants have not taken the ACT or SAT, or do not have qualifying scores, they will need to take Trident Tech’s placement test, which identifies academic strengths and areas where students may need help. Once accepted to the college, students can attend orientation and meet with their advisor to register for classes. Mitchell said applicants who need financial aid should complete the Free Application for Federal Student Aid, or FAFSA, at the same time as the admission application to ensure financial aid is in place by the tuition payment deadline. The FAFSA can be submitted online at https://fafsa.ed.gov/. S.C. Lottery Tuition Assistance amounts for fall have not yet been announced, but if the maximum award amount of $1,140 is renewed, eligible tri-county students will pay only $1,000.23 in tuition and fees for 12 credit hours. Eligibility for lottery assistance is not based on income, so most S.C. residents qualify. The college has many resources to help potential students complete the application and registration process. The college’s Educational Opportunity Center offers free assistance to adults 19 and older who need help filling out college and financial aid applications. The college also has dedicated support for military members, veterans and military spouses. The college’s Counseling and Career Development Services office is available to help students explore career fields and choose a major. The college’s fall registration action period is June 12-Aug. 4. Students who complete all admission, financial aid/VA and disability accommodation requests during the action period will have the greatest chance of being able to register and have financial aid in place by the time fall classes start on Aug. 21. There are other benefits to starting the process now, according to Mitchell. “The earlier students register, the more likely they are to get the classes and schedule they want,” she said. For more information about registering for fall classes, visit http://www.tridenttech.edu/ or call 843.574.6111. Trident Technical College’s Pro-Am Golf Tournament and Distinguished Alumni After Party was the most successful yet, netting over $53,000 and attracting hundreds to the Country Club of Charleston on Monday, May 8. The captain’s choice tournament, sponsored by SunTrust Bank, included 25 pros and 100 players. Highlighting the evening was an after party featuring 11 distinguished alumni, as well as faculty and staff from The Culinary Institute of Charleston. Alumni prepared exquisite dishes ranging from Sous Vide Asian Pork Belly and Oyster Stew to Banana Cheesecake and Tropical Rum Cake. The money raised from the tournament and after party will support student scholarships, the student emergency fund, faculty and staff development and other critical needs of the college. Trident Technical College has been selected as one of 38 schools to partner with Delta Airlines to address the shortage and high demand of Aircraft Maintenance Technicians (AMTs). AMTs keep aircraft in safe flying condition by servicing, repairing and overhauling aircraft and aircraft components while following detailed federal regulations set by the FAA. Over the last several months, Delta TechOps evaluated over 80 schools and found that TTC, along with 37 others, was determined to meet FAA standards as well as Delta’s high principles that exceed industry standards. “This is exciting news for TTC as we move to expand our aeronautical programs in the tri-county area through the ongoing construction of the SC Aeronautical Training Center and the modernization of our aviation curriculum,” said Barry Franco, TTC dean of Aeronautical Studies. The partnership will benefit TTC’s students by gaining Delta as a resource for continuous improvement of the AMT program, as well as broaden access to the benefits of the AMT careers available within the global aviation industry. Trident Technical College’s 2017 Spring Spin-Off recorded the largest number of registered participants in the car show’s 25-year history on Saturday, April 29, at TTC’s Main Campus in North Charleston. A total of 330 registered participants and an additional 60+ vehicles resulted in approximately 400 cars, trucks and motorcycles rolling in and filling rows of parking spaces on the North Charleston campus. Thanks to gold sponsors South Carolina Federal Credit Union and Hendrick Honda Automotive Group, registration fees were waived and all participants went home with a commemorative trophy. Click here for a complete list of winners. Students from 37 public schools throughout the tri-county area battled for top honors at the 31st Annual Quest Academic Competition held March 4 at Trident Technical College. Students participated in four levels of competition: Level I-grade 6, Level II-grades 7-8, Level III-grades 9-10 and Level IV-grades 11-12. Students competed and earned points in team competitions in math, science and social studies, and in individual competitions in composition, public speaking and visual arts. Schools whose students earned the most total points won overall awards at each level. Special competitions that did not contribute points toward the overall awards were held in automotive, computer- aided design, computer programming, culinary, French, horticulture, Spanish, video/film and welding. Approximately 1,000 students participated in this year’s Quest. The competition was developed by TTC to promote academic excellence, provide an academic challenge to students, and recognize top students, teachers and schools. For a complete list of winners with photos, click here. Trident Technical College was awarded a grant of $49,872 from the Bosch Community Fund to support IT Career Clusters, a two-year project designed to develop a new Social/Digital Media Marketing and Big Data certificate program that will provide a pathway for students into these career fields. “This project will help meet a growing need for writing, coding and database skills related to social media and data analytics, and we look forward to helping meet this need thanks to the funding received by the Bosch Community Fund,” said Laurie Boeding, Trident Technical College dean of Business Technology. Courses in the new certificate program will allow students to develop skills and competencies in the use of social media marketing, data analytics and/or computer programming/software development. Additionally, funding will provide Tri-county youth with hands-on experience in these IT fields through workshops and scholarships for Teen University courses. Approximately 140 TTC students and 60 middle and high school students will benefit from the program. The Bosch Community Fund (BCF) awards up to $4 million in grants annually, providing additional support for the company’s charitable and community efforts in the United States, with a focus on science, technology and environmental initiatives. Opportunities are now available for individuals to work on an associate degree in business by taking evening classes at Trident Technical College’s Palmer Campus, located in downtown Charleston. The course offerings will begin this spring, starting March 13, and will include Business 101 on Mondays, Management 101 on Tuesdays and Marketing 101 on Wednesdays. All classes are from 6-9 p.m. and will be in hybrid format. For more information, contact Randall Morgan at 843.574.6644 or randall.morgan@tridenttech.edu. Trident Technical College announced today that the Zucker family will provide $6 million to support the new S.C. Aeronautical Training Center, which is being built on the college’s Main Campus in North Charleston. Trident Tech President Mary Thornley made the announcement during an event held for the Zucker family on the college’s Main Campus in North Charleston. Anita Zucker, CEO of the InterTech Group, said the family is making the donation to support the efforts the college is making to grow advanced manufacturing in the state. The $6 million donation to the Trident Technical College Foundation is the biggest in the college’s history. The Zuckers’ largest previous donation to the college was a $1 million pledge to the foundation made in 2012. The family has made numerous other gifts to the college over the years to fund scholarships, provide academic support for students, purchase needed instructional equipment, and upgrade college technology. The Zuckers designated $500,000 of the pledge to be issued as a matching challenge to fund a solar roof on the center’s aircraft hangar. So far, the TTC Foundation has raised $300,000 toward the match, with Home Telecom, Charleston Development Board Foundation and C&A Unlimited each giving $100,000. Trident Tech broke ground for the new building earlier this month. The facility will house the college’s Aeronautical Studies programs, readySC training for Boeing South Carolina, and other readySC advanced manufacturing training. It will also provide classroom and lab space for the college’s advanced manufacturing continuing education programs, and Industrial and Engineering Technology programs. The center will feature open bays to accommodate aircraft, large aircraft parts and training aids. Classrooms and labs will be used to train students in subjects including aircraft assembly and maintenance, composite materials, avionics, mechatronics, robotics and automation, and additive manufacturing (industrial 3-D printing). The center is expected to open in fall 2019. The Zuckers have been involved with the college for decades. The late Jerry Zucker served on TTC’s Electronics Engineering Technology Advisory Committee. 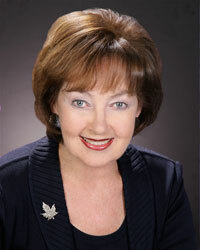 Anita Zucker is a former member and chair of the TTC Foundation Board of Trustees. She currently serves on TTC’s Area Commission, the college’s governing board. The TTC Foundation operates independently of the college as a nonprofit corporation, advocating and raising funds for the college to support the region’s economy. To make a pledge or contribution to the Sky is Not the Limit Aeronautical Campaign click here or contact Kim Hallin at 843-574-6195. Trident Technical College’s Palmer Campus will celebrate the life and the legacy of master blacksmith Philip Simmons for Eastside Day 2016 to be held Thursday, Oct. 27. Eastside Day is a part of the Palmer Campus’s Spirit Week held annually to celebrate the students of TTC and the heritage of the Eastside Community where the college’s downtown Charleston campus is located. Spirit Week 2016 is slated for Oct. 24-28. In collaboration with the Philip Simmons Foundation, the Eastside Neighborhood Association, TTC’s Visual Arts departments, as well as the Culinary Institute of Charleston, the Palmer Campus has planned a week of student-driven activities that the community and TTC students, faculty and staff are invited to attend. All events are free. Kicking off the week will be a student welcome on Monday, Oct. 24, at the campus courtyard and park. Spirit Week will continue with a College Transfer Fair and Health Expo for TTC students Oct. 25-26. Thursday’s Eastside Day activities are open to the public and dedicated to celebrating Simmons, who lived in the Eastside Community from 1919 until he passed in 2009. His house, located in walking distance from Palmer Campus at 30 ½ Blake Street, is now the Philip Simmons Museum House with a gift shop and operating workshop, where the art of his craft is being continued by his nephew Carlton Simmons and cousin Joseph Pringle. Following a celebration in the park, interested participants will have the opportunity to tour the Museum House. The tours will leave from campus at 11:30 a.m., 12:30 p.m. and 1:30 p.m.
Students and members of the community are also invited to visit the Library Commons Gallery for a reception on Thursday at 5:30 p.m. to view artwork by TTC Visual Arts students. The week will conclude with a Safety Awareness Fair on Friday, Oct. 28. Please click here for Spirit Week event times. Trident Technical College (TTC) Division of Continuing Education and Economic Development is pleased to host the upcoming South Carolina Apprenticeship Initiative Regional Workshop on Thursday, Sept. 29 from 8:30-10:30 a.m. at TTC’s Main Campus in North Charleston in the Continuing Education Building (Bldg. 910), Rm. 122. TTC is partnering with the South Carolina Technical College System to deliver apprenticeship training via the South Carolina Apprenticeship Initiative (SCAI) and has been awarded over $160,000 from the SCAI grant from the U.S. Department of Labor to use for this training. Representatives from Apprenticeship Carolina will be on hand at this special workshop to explain the program, and representatives from the Enterprise Zone Act will answer questions and demonstrate how these programs can be used to stretch a company’s training budget. Once a company’s registration is finalized, they are eligible to receive a $1,000 tax credit per year for up to four years. More than $12,000 in training funds is available for each qualified company with up to $2,500 available per apprentice. Industries served must be in Advanced Manufacturing (NAICS 31-33), Information Technology (NAICS 51) or Professional Services (NAICS 54) in the following occupations (see ONET codes): engineering installation (17-0000); maintenance and repair (49-0000); production (51-0000); computers (15-1100); business/finance (13-0000); design/media (27-1000 and 3000). To RSVP or for additional information, contact Yvonne Brown, Assistant VP of Continuing Education, at 843.574.6083 or Yvonne.Brown@tridenttech.edu or Tori New-Cater with TTC’s Business Solutions at 843.574.6177 or victoria.new-cater@tridenttech.edu. Visit www.tridenttech.edu/ce to learn more about programs offered by Trident Technical College’s Division of Continuing Education and Economic Development. The Charleston Metro Chamber of Commerce and Trident Technical College celebrated career education with hundreds of business leaders and educators at a State of the Region: Education and Youth Apprenticeship Signing Day breakfast on Aug. 9. The event was held at TTC’s College Center on Main Campus in North Charleston. The program spotlighted the partnership between the Chamber, TTC and the region’s public school districts with the signing of the 2016-2017 class of Charleston Regional Youth Apprentices and the kickoff of the fourth year of Career Academies. The event also featured the unveiling of the 2016 Talent Demand Study Update, CEO of The InterTech Group Anita Zucker, as well as a panel discussion on the Youth Apprenticeship Program led by TTC President Dr. Mary Thornley. Following the program, participants of the third class of the Youth Apprenticeship Program officially signed with their employers as apprentices at local businesses representing culinary, hotel operations, industrial mechanics, junior computer programming, machine tool, computer networking, manufacturing, contracting services and health care. All costs associated with the program including tuition and books are paid by the Charleston Metro Chamber of Commerce. Currently, there are over 65 business partners who have or are interested in hiring youth apprentices for the 2016‐17 academic school year. Trident Technical College students and faculty members were recognized for their outstanding achievement and involvement in student organizations at TTC’s Awards Day ceremony held at the college’s Main Campus on May 5. The President’s Award/Kurtzman Prize, the highest honor which includes a monetary gift given to a graduating student on the basis of academic achievement, contributions to the college and community service, was awarded this year to two students, Linda Ash and Emily Jax. CEO Rick Hammond was on hand to present the S.C. State Credit Union Award, which also includes a monetary gift, to Victor Moscoso, as a returning student who demonstrates a commitment to service, exhibits perseverance toward completing higher educational goals, displays commendable personal attributes, and serves as an exemplary role model to other students. The Klein Tools Award, which honors the outstanding electrician graduate from the Electrical and Automated Technologies program with a set of tools valued at more than $1,000, was presented by Klein Tools Inc. District Manager David Inman to TTC student Billy Wall of Walterboro. The Dr. Frankie Miller Leadership Award, in honor of the former dean of the Culinary Institute of Charleston (CIC), Frankie Miller, was awarded to Abigail Hamrick. Hamrick was recognized with a $500 scholarship check from the Charleston Area Convention and Visitors Bureau and an award from the CIC. Also among the award recipients was Cameron Bolus who received a Graphic Design award for designing a greeting card that will be used by the President’s Office. The Merit Award winners were also recognized by TTC President Dr. Mary Thornley for their academic and personal excellence, identifying each recipient as the top student in his or her program of study. The Merit Award winners are: Accounting-Reyna Mamani, Administrative Office Technology-Betty Baldwin, Associate in Arts-Kelsey Budd, Associate in Arts-Laura Prioleau, Associate in Science-Laura Downing, Associate in Science-Cameron West, Commercial Graphics/Animation-Angela Smythe, Commercial Graphics/Digital-Genevieve Eckman, Commercial Graphics/Graphic Design-Danielle Jenning, Commercial Graphics/Photography-Lauren Walker, Computer Technology/Information Systems Specialist-Katelyn Watford, Criminal Justice-Adrianna Choluj, Culinary Arts Technology-Ladonna Bruce, Culinary Arts Technology/Baking and Pastry-Rayma Shumpert, Culinary Arts/Sports and Health Nutrition-Judith Gorsky, Dental Hygiene-Tara Hirsch, Early Child Care and Education/Special Education-Tina Yonce, General Technology/Medical Assisting-Kristina Phillips, Homeland Security Management-Randolph Allen, Hospitality and Tourism Management-Cynthia Zukowski, Human Services Generalist-Laurie Steinke, Management/Fire Service-Nathan Adams, Management/Human Resources-Elizabeth Daughtry, Management/Leadership Development-Trent Needler, Media Arts Production/Film Production-Andrew Metcalf, Media Arts Production/Post Production-Eric Johnson, Medical Laboratory Technology-Ashley Newton, Network Systems Management-Benjamin Lebeau, Nursing/ADN-Emily Jax, Paralegal-Tracie Hopkins, and Radiologic Technology-Alice Palumbo. There are approximately 40 student organizations at TTC in which students have the opportunities to network with other students who have similar interests, gain additional practice in their fields of study, interact with future colleagues, and offer time and energy to community service. Three organizations were recognized with Outstanding Student Organization awards. 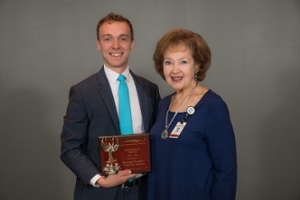 Winning the top honor was the Society of Broadcasters, followed by Champions for Change as first runner-up and the Student American Dental Hygienists’ Association as second runner-up. Awards of Distinction, given to student organizations that have won the Outstanding Student Organization award for more than three years, were presented to Phi Theta Kappa and the Hospitality and Culinary Student Association. Outstanding Advisors and Outstanding Members of Student Organizations were also recognized. Phi Theta Kappa advisor Daryl Milligan won the top honor for Outstanding Student Advisor. First runner-up was given to Champions for Change advisor Geneva Fleming and second runner-up was given to Jane Benton for the Radiologic Technology Association. Additionally, several students were recognized as Outstanding Members of a Student Organization, while 15 students were recognized for their selection to the 2016 edition of Who’s Who Among Students in American Colleges and Universities. Trident Technical College recently honored 126 employees for a combined 1,665 years of service at the college. Employees were honored for five-45 years of employment with a breakfast and small token of appreciation, while those who had been at TTC for 30, 35 and 45 years had the opportunity to give special remarks. Four employees were recognized for 35 years of service, while Trident Tech’s longest-serving employee, Itaski Jenkins, was recognized for 45 years of employment at TTC. Summerville resident Laurie Boeding, dean of business technology at Trident Technical College, is the 2016 recipient of the A. Wade Martin Innovator of the Year Award, which is given each year by the S.C. Technical College System Foundation. The A. Wade Martin Award recognizes individuals in the technical college system who employ innovative approaches to meet the ever-changing needs in the technical education arena and whose achievements impact most positively in the system’s statewide efforts in economic development and the education of technical college students. A. Wade Martin was the executive director of South Carolina’s first technical and industrial training program. Boeding won the award for her efforts to put TTC on the forefront of cybersecurity education. She revamped the Network Systems Management program with cybersecurity and cyberforensics components, pursued grants to fund cyberforensics competitions and STEM workshops, recruited new members to the academic advisory board, built partnerships with local school districts and government agencies, and brought instructional equipment and software used by students up to industry standards. She has also reached out to promote the career field to girls, since women are a minority in the information technology field. Boeding’s multi-layered approach has resulted in an advanced cybersecurity curriculum that other colleges are using as a model. Trident Tech’s well-equipped labs are now the pinnacle to aspire to, with high schools and other colleges looking at TTC’s labs when designing their own. Four-year colleges and universities are reaching out to the college to discuss transfer program options and Boeding and her faculty members have been invited to collaborate nationally on cybersecurity curriculum. Her efforts have not only resulted in making Trident Tech a leader in cybersecurity education, but have strengthened and promoted STEM and cyberforensics locally and across the state. The Executive Committee of S.C. Technical College System Foundation selects the award recipient from nominations submitted by colleges in the state technical college system. The award recipient receives a framed award and a check for $500. Photo Caption: Trident Technical College Dean of Business Technology Laurie Boeding receives the A. Wade Martin Innovator of the Year Award from S.C. Technical College System President James Williamson. Trident Technical College Division of Continuing Education and Economic Development is accepting registrations for the 2016 Kids’ College (Ages 7-11) and Teen University (Ages 12-17) summer camps. The innovative series at Trident Technical College inspires, educates and engages students, by featuring fun and educational offerings in subject areas including college prep, computer technology, leadership skills, young professionals, creative arts, culinary, baking and pastry as well as math and science. Each camp runs for a five-day period, meeting three-and-a-half hours each day (8:30 a.m.-noon or 1-4:30 p.m.) and costs from $99 to $199 per camp. Camps are offered in five locations around the Lowcountry from June 13 to Aug. 5, 2016. Almost 1,300 students participated in the 2015 programs. Trident Technical College Division of Continuing Education and Economic Development is pleased to announce the program lineup for the 22nd Annual Administrative Professionals Day Conference, “Cultivating Change by Fostering Connectivity.” The 2016 conference is scheduled for Wednesday, April 20, 2016 from 8:30 a.m. to 4 p.m. in The College Center on the Main Campus of Trident Technical College in North Charleston. Registration fees range from $109-$149 per person. This one-day event features guest speakers from the community and faculty from Trident Technical College in addition to a gourmet lunch catered by Duvall Catering and Event Design. Antonio Robinson serves as conference emcee. Rodney Barrentine delivers the National Anthem as part of the opening of the conference. A breakfast buffet is also provided. Trident Technical College Division of Continuing Education and Economic Development is launching a new series of camps to keep youth ages 7-17 engaged during spring break. Expanding upon its popular Kids’ College (Ages 7-12) and Teen University (Ages 12-17) summer camps series, the spring break camps are scheduled from March 28-April 1 in college prep, math and science, computer technology and leadership skills. Most camps run for a five-day period, meeting three-and-a-half hours each day (8:30 a.m.-noon or 1-4:30 p.m.) and cost from $119 to $199 per camp. Camps meet at Trident Technical College’s Main Campus in North Charleston. For more information, visit the Kids' College and Teen U pages. Students from 42 public schools throughout the tri-county area battled for top honors at the 30th Annual Quest Academic Competition held today at Trident Technical College. Students participated in four levels of competition: Level I-grade 6, Level II-grades 7-8, Level III-grades 9-10 and Level IV-grades 11-12. Students competed and earned points in team competitions in math, science and social studies, and in individual competitions in composition, public speaking and visual arts. Schools whose students earned the most total points won overall awards at each level. Special competitions that did not contribute points toward the overall awards were held in automotive, computer aided design, computer programming, culinary, engineering design and construction, French, horticulture, Spanish, video/film and welding. Overall awards were given to 12 schools. At Level I (grade 6) Gregg Middle School won first place, Buist Academy for Advanced Studies placed second and Rollings Middle School of the Arts finished in third place. At Level II (grades 7-8) Charleston County School of the Arts took top honors, Rollings Middle School of the Arts placed second and College Park Middle School earned third. At Level III (grades 9-10) Academic Magnet High School won first place, Ashley Ridge High School placed second and Cane Bay High School placed third. At Level IV (grades 11-12) Academic Magnet won first place, James Island Charter High School placed second and Fort Dorchester took third place. Approximately 1,200 students participated in this year’s Quest. The competition was developed by TTC to promote academic excellence, provide an academic challenge to students, and recognize top students, teachers and schools. For a list of winners and photos, click here. Start your Valentine’s Day celebration at Trident Technical College on Friday, Feb. 12, as Charleston’s Premier Big Band featuring Nancy Clayton plays the standards of the Swing era. The music of George Gershwin, Glenn Miller, Duke Ellington and others will fill the College Center in the Complex for Economic Development (Bldg. 920) on Main Campus, 7000 Rivers Ave., North Charleston from 7 to 9:30 p.m. The concert, sponsored by the college’s Division of Humanities and Social Sciences and Student Activities, is open to the public. Light refreshments will be served. A limited number of free tickets are available at the college’s Student Activities office in Bldg. 410/Rm. 130, on Main Campus. For more information, call 843.574.6012. Trident Technical College’s Division of Continuing Education and Economic Development is offering a new Workforce Pathways Scholarship that will provide up to $2,000 per student per term for short-term training in select STEM-related career fields. The Workforce Pathways Scholarship was funded by the S.C. General Assembly through the S.C. Technical College System. With $850,000 in funds available for Trident Tech students, the program has the potential to benefit hundreds of local residents who need workforce training to get a job or advance on the job. The scholarship will cover the cost of course fees and textbooks for qualified TTC continuing education courses in the areas of health care, manufacturing, information technology, and transportation and logistics. A complete list of eligible courses can be found under Funding Opportunities on TTC’s Continuing Education website at www.tridenttech.edu/ce. Training available through the scholarship program will prepare students for career fields including medical coding, emergency medical technology, medical assisting, phlebotomy, web design, networking, welding, and advanced manufacturing. In honor of contributions made by the United States military personnel and veterans, Trident Technical College is holding a Veterans Day Celebration program on Wednesday, Nov. 11, at 10:30 a.m., on TTC’s Main Campus in the College Center (Bldg. 920), 7000 Rivers Ave., North Charleston. The featured speaker is Colonel Jimmy “Vegas” Canlas, Vice Commander, 437th Airlift Wing, Joint Base Charleston. A reception will follow the program. From 11:30 a.m. until 2 p.m., attendees can visit the American military exhibit, featuring military uniforms throughout the years. The exhibit is provided by the American Military Museum, located in Citadel Mall. The event is free and open to the public, but anyone planning to attend is asked to RSVP by calling 843.574.6421. For more information about the event, please call 843.574.6347. All Trident Technical College campuses and sites will be open and operate on a normal schedule Tuesday, Oct. 6. The make-up day for Friday, Oct. 2 classes is Tuesday, Oct. 13. The make-up day for Monday, Oct. 5 classes is Wednesday, Oct. 14. Trident Technical College Division of Continuing Education and Economic Development is pleased to announce a new series of workshops, The Charleston Artisans Series, to be offered from Sept. 15-Dec. 2, 2015 featuring local musicians, writers, poets, storytellers and artisans. Each workshop costs $19-$29 to participate and take place at Trident Technical College’s Main Campus in North Charleston and Palmer Campus in downtown Charleston. “The Charleston Artisans Series is our way of showcasing local talent and providing them a venue to share their story and the inspiration behind their work to the Charleston community. We provide a copy of the artist’s work and want people who enroll in the presentations to feel a sense of community as we offer free coffee and tea to provide a casual and collaborative atmosphere to the presentation,” said Dr. Daphne Holland, youth and personal enrichment program manager for the Trident Technical College Division of Continuing Education and Economic Development. Trident Technical College will offer a free church security seminar for leaders of all faiths and religious organizations, congregants and the general public on Thursday, July 23, from 6-9 p.m.
Trident Tech began offering a two-night, six-hour church security course in fall 2014 through its Division of Continuing Education and Economic Development. The free three-hour seminar will cover much of the same material as the course, but be more focused on physical threats to churches, synagogues, mosques and temples, rather than general security measures. The seminar will be led by Lt. Frank Jackson, homeland security officer with the Berkeley County Sheriff’s Office. Jackson, an ordained minister, has more than 28 years of law enforcement experience and has taught TTC’s church security course since its inception. He has also served as chaplain of the Fraternal Order of Police Berkeley Chapter and the Palmetto State Law Enforcement Officers Association. The two-hour presentation portion of the seminar will cover topics including staff training, policy and procedure development, security assessments, surveillance techniques, recognizing different kinds of threats, and security team development. There will be an hour of Q&A and discussion after the presentation. The seminar will be held in the College Center in Building 920 on Trident Tech’s Main Campus in North Charleston. The workshop is free, but attendees must pre-register by calling 574-6152. Due to a power outage on Main Campus on Tues., June 30, the following buildings will be closed until repairs are made: Bldgs. 100, 200, 300, 400, 410 (Student Center), 420, 430, 500, 510, 700, 800. For those planning to start college this fall, the start of classes is quickly approaching. To help prospective students apply for college admission and for financial aid and to guide them through other important steps, Trident Technical College will hold a “Get Help, Get Going” event on July 9, from 10 a.m.-6:30 p.m. at TTC’s Main Campus (7000 Rivers Ave., North Charleston, Building 410). Attendees who have not yet started these processes will receive guidance. Those attendees who have begun will be directed to their next steps. Prospective students should complete their share of admission, financial aid and disability accommodation request processes before Aug. 3 so they have the greatest opportunity to have all processes finalized before classes begin. For more information and for a complete list of what to bring, visit http://bit.ly/ttcgethelp or call 843.574.6111. Trident Technical College will hold a Paralegal Program Information Session June 25 at 6 p.m. in Bldg. 200 / Room 143 on the College’s Main Campus in North Charleston. Interested individuals are encouraged to attend and learn more about the program including affordable tuition and lottery assistance, internships and job placement assistance. Licensed SC attorneys serve as faculty members. There are daytime, evening and online courses taught in full-time and part-time formats to provide flexibility for students. “Our program has led the way in the Lowcountry, and we continue to provide students with the best preparation possible for a career in the paralegal field,” noted Jan Utsey, associate dean for Law Related Studies. The program is approved by the ABA (American Bar Association) and designed to meet the needs of first-time college students, college graduates who are changing careers, as well as people employed in the legal field who want preliminary training before entering law school. RSVPs are not necessary, but participants can call 843.574.6890 with questions regarding the session, and click here for general information about the paralegal program including course details and answers to frequently asked questions. The Charleston Metro Chamber of Commerce, Trident Technical College, local educators and area business partners came together to celebrate career education at a breakfast event on Tuesday, June 9, at TTC’s College Center on Main Campus in North Charleston. The event – Accelerating Career Education – spotlighted outcomes in career education including the exponential growth of Career Academies in local high schools, the presentation of this year’s Accelerate Greater Charleston Scholarships and the Youth Apprenticeship program at TTC. Over 50 students from local public and private schools were recognized for continued achievement as they pursue their career education. A total of 15 high school Career Academy graduates received scholarships to attend Trident Technical College to pursue a two-year associate degree; while 40 students were recognized as new hires in the 2015-16 class of youth apprentices. The scholarships and all tuition and costs associated with the Youth Apprenticeship program are paid for by the Charleston Metro Chamber of Commerce. Also highlighting the morning event was a check presentation by SunTrust Foundation to the Charleston Metro Chamber of Commerce in the amount of $25,000, specifically donated for funding of the Youth Apprenticeship program. TTC President Dr. Mary Thornley unveiled the formation of Workforce Academies at Trident Technical College. These academies, with curriculum designed at the request of area employers, will provide specialized postsecondary training programs for Lowcountry youth apprentices and offer opportunities for high school students who are not participating in the apprenticeship programs to get a head start by enrolling in postsecondary courses prior to graduating from high school. Following the program, there was an official signing of the 2015-16 youth apprentices with their respective employers, as well as media interviews and photo opportunities for scholarship and apprentice honorees. Trident Technical College Division of Continuing Education and Economic Development is offering a new series of workshops May 13-June 17, 2015 focusing on the Black History of South Carolina. Topics covered span the American Revolution time period through the Civil War, Reconstruction and the Civil Rights era into present day. All classes meet on the Main Campus of Trident Technical College at 7000 Rivers Ave. in North Charleston and cost $25 per student. Students who enroll by May 7 in all courses in the Black History of South Carolina series will receive their last class free. To register, call 843.574.6152 or visit www.tridenttech.edu/ce. Dr. Daphne Holland, youth and personal enrichment program manager for the Trident Technical College Division of Continuing Education and Economic Development, explains the community need that is being met by adding the Black History of South Carolina series to TTC’s 2015 summer course schedule: "Charleston has a rich history in African-American culture that is too often unrepresented and untold. I believe this series of classes will not only be full of extraordinary local and historical information but will be entertaining as well." Damon Fordham, instructor of the workshop, went on to say: "I designed this course to get people to understand that there is so much more to history than what they're often taught or told. If they speak to their older friends and relatives, they may find amazing stories that have been missed by the history books." Trident Technical College Division of Continuing Education and Economic Development is pleased to announce the program lineup for the 21st Annual Administrative Professionals Day Conference. The 2015 conference is scheduled for Tuesday, April 14, 2015 from 8:15 a.m. to 4 p.m. in The College Center on the Main Campus of Trident Technical College in North Charleston. Registration fees range from $109-$149 per person. This one-day event features guest speakers from the community and faculty from Trident Technical College in addition to a fashion show courtesy of Sissy’s Closet and a gourmet lunch catered by Duvall Catering and Event Design. D’Jaris Whipper-Lewis will deliver the National Anthem as part of the opening of the conference. A continental breakfast is also provided. Karen Wrighten, Dean, Trident Technical College Berkeley Campus, "Dream It, Be It." Who should attend this conference? Those encouraged to register include administrative assistants, receptionists, paralegals, office managers, executive assistants and all support staff. Individuals who are currently in these positions or those interested in branching into this area would find this year's conference very beneficial for their professional development as well as provide them with opportunities to network with their peers. Early registrations are being accepted now through March 15 at a reduced per person rate of $119. Regular registration is $149 per person and will be available from March 16 to April 14. A discounted rate of $119 per person is available to IAAP members. A special group rate of $109 per person is available for groups including five or more registrations (group registrations are available by phone only). To register, call 843.574.6152 or visit www.tridenttech.edu/ce. Registrations can be made in person at the Complex for Economic Development located in Bldg. 910 on the Main Campus in North Charleston. For more information, contact Rose Manigault at 843.323.3800 or rose.manigault@tridenttech.edu. For more details about the conference, click here. For more information, contact Katharine Purcell at 574-6457 or katharine.purcell@tridenttech.edu. Trident Technical College’s Division of Continuing Education and Economic Development is seeking proposals for the presentation of innovative and creative academic-related summer camps for children ages 7-16 as part of its 2015 Kids’ College Summer Camp program tentatively scheduled to run June 8-August 7. Each camp runs for a five-day period, meeting three and one-half hours each day (8:30 a.m.-noon or 1-4:30 p.m.) and costs from $99 to $199 per camp. Kids’ College is an innovative series that inspires, educates and engages children by featuring fun and educational offerings in subject areas such as 21st century life skills, computer technology, creative arts, culinary and pastry, math and science as well as online courses. For more information or to submit a proposal, contact Michele Shinn, director of personal enrichment and special projects, Trident Technical College Division of Continuing Education and Economic Development, at michele.shinn@tridenttech.edu or call (843) 574-6655. TTC’s Student Nurses Association won the majority of the state awards. With 54 students in attendance, TTC also had the largest representation at the convention. TTC’s Director of Apprenticeships Mitchell Harp recently returned from a study tour to Germany where he learned about the German vocational and training system. The German Embassy invited Harp to participate in the tour as part of its Skills Initiative, which aims to identify and spread best practices in sustainable workforce development in the United States. The initiative gives participants a first-hand impression of the political, economic and social components of the German dual system of vocational training, which is a major factor in Germany’s economic success. Mitchell Harp (fourth from right) tours the GE facility in Berlin. The German government covered all of Harp’s travel expenses, including flights, accommodations, meals and other program-related costs. While in Germany Sept. 21-27, Harp toured manufacturing facilities in several cities including Berlin, Salzgitter, Cologne, Essen, and Bonn, and he had the opportunity to speak with German government and education officials, employers and apprentices.